Wrapped with a Bow. 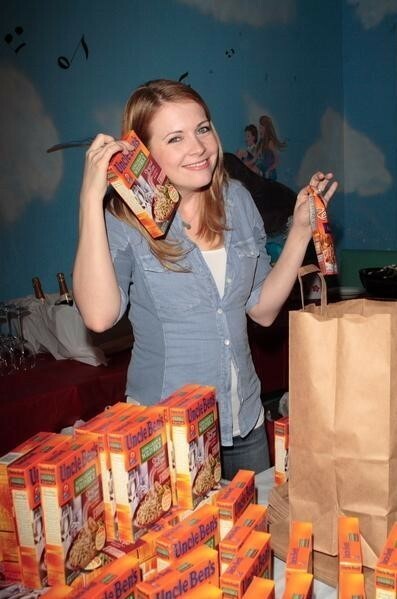 Melissa Joan Hart attends Baskin Robbins' 'Wrapped with a Bow' Charity Event at Giggles 'n Hugs on December 5, 2008 in Los Angeles, California.. Wallpaper and background images in the 梅利莎·琼·哈特 club tagged: melissa joan hart wrapped with a bow 2008 red carpet. This 梅利莎·琼·哈特 photo might contain 罐头食品, 包装盒, 包装箱, 报摊, and 报刊亭.